Loading Soya Beans Bound for China - CHADWICK WEIR NAVEGACION S.A.
A Protocol of phytosanitary requirements for the export of soya beans from Uruguay to China has been signed by the corresponding Authorities of both countries. The soya beans exported to China shall comply with the relevant phytosanitary laws, regulations on import and national standards of China and be free from live pests, and not mixed or contaminated with other grain, materials or soil (Art. 2). Chinese Authorities shall implement surveillance activities according to relevant international standards in order to minimize the occurrence of pests (Art. 3). The Chinese Authorities shall supervise the enterprises that export soya beans to China to determine they undertake cleaning activities during storage, transportation or prior to loading, to reduce debris, impurities and dangerous weed seeds (Art. 4). Fumigation prior to export or on the way of carriage will be carried out if live insects are found (Art. 6). 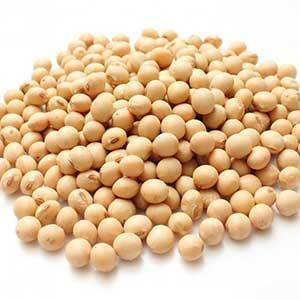 The soya beans will have to be destined at the ports designated by Chinese Authorities (Art. 7). When the soya beans arrive to Chinese designated ports, inspection and quarantine will be carried out. If any quarantine pests is found, the consignment will only be allowed to enter after effective treatment. In the case of no effective treatment, the consignment shall be returned or destroyed at shippers’ cost (Art. 8). The list of the quarantine pests concerned by China is detailed in the Annex 1 of the Protocol. The Protocol has entered into force at the time of signature on October 18th, 2016, and will have a validity of two years. A copy of the Protocol (in English language) is hereto attached for reference. On the other hand, it has been reported that a significant number of expensive claims relating to soya beans carried from Uruguay to China have arisen during the last year 2016, likely, due to over-moisture and high temperatures previous to the cargo being loaded on board. In order to prevent and assist in possible cargo claims at destination, Members are recommended to appoint their own surveyors to be in attendance during loading and to arrange for controls of cargo condition before loading the soya beans on board. There are qualified local surveyors with suitable equipment to check moisture and temperature of the cargo, and expertise enough to verify the presence of insects and/or foreign materials in the beans.